The TJBS Great Albums Concert Series is back for 2018! The inaugural concert takes place Sunday, February 11 at 7pm in the Upstairs Lounge at the City Winery. 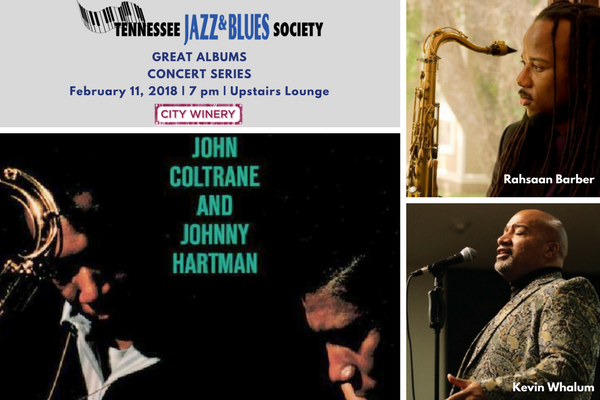 The subject will be the classic album “John Coltrane and Johnny Hartman,” led by saxophonist Rahsaan Barber and vocalist Kevin Whalum.